Reader in Neural-Symbolic Computation in City’s Department of Computer Science, Dr Artur Garcez, has teamed up with software analytics firm BetBuddy to devise an ‘early warning’ system that will help gamblers engage in the pastime responsibly. Dr Artur Garcez, a Reader in Neural-Symbolic Computation in the Department of Computer Science, has devised an ‘early warning’ system that automatically informs gamblers as soon as their behaviour shows signs of turning into an addiction and will help people engage responsibly in the pastime. The system will identify whether a player’s gambling patterns show signs of risk and start to match those of previous players who asked online gambling sites to block them, for a fixed period, to stop them becoming ‘hooked’ – an option known as ‘self-exclusion’. Dr Garcez’s team discovered that by harnessing a machine learning method known as ‘random forests’ and applying it to a real-world online gambling dataset, the system could achieve an impressive 87 per cent accuracy in predicting playing patterns which were likely to evolve in an unhealthy direction. Armed with information on gambling patterns, providers can decide not to send players marketing material for a period or they can use the information to alert a player to a potential problem. “Although systems of this kind are already in use, none are believed to have published peer-reviewed research that evidences the same levels of accuracy and reliability as the Bet Buddy system,” says Dr Garcez. “Early detection and prevention of problem gambling is not only in the interest of those who engage in online gambling – it can also help deliver a more stable and growing market place for online gambling providers”. Dovetailing with these very promising results, a key aspect of City’s work with BetBuddy has been to develop and harness a better understanding of the root causes of problem behaviour in online gambling. First presented in September 2015 at the National Center for Responsible Gaming (NCRG) conference held in Las Vegas, US, key work in this area has included an analysis of how to achieve a balanced approach that maintains high accuracy but avoids alarming gamblers unduly, and the development of a ‘knowledge extraction’ method capable of explaining results to gambling operators and gamblers themselves. “City University London has enabled us to build more robust and accurate prediction models and apply new, creative algorithms to gambling data. 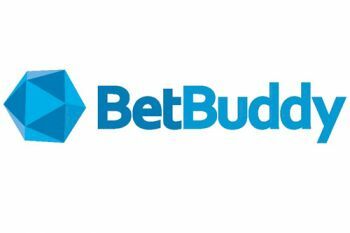 By applying their expertise in knowledge extraction techniques to 'black box' prediction models, clinicians, regulators, and industry can better understand how these models can predict behaviour and better protect consumers at risk of harm" said Simo Dragicevic Chief Executive of BetBuddy. Online gambling is a global growth industry and this year in the EU alone revenues are expected to reach €13 billion. But the problems of addiction that it can bring are well known, contributing to the 593,000 problem gamblers that, according to NHS figures, are present in Britain today. Neural-symbolic computation is an interdisciplinary research area borrowing from computer science, artificial intelligence, neural computation, machine learning, computational logic, cognitive and neurosciences, psychology and philosophy. Topics of interest include: Network reasoning and inference, Reasoning about uncertainty, Learning from structured data, Statistical relational learning, and Integrated reasoning and learning, Applications in large-scale data analysis problems including simulation and training, robotics, the web, multi-agent systems, fault diagnosis, bioinformatics, argumentation, normative systems, security, multi-modal learning, visual information processing, anomaly detection, fraud prevention.